More Sinful than You Imagine! You are more sinful than you can imagine! The doctrine of Original Sin is true! You cannot reform your flesh! You cannot become a better person by your own strength no matter how hard you try! But cheer up! If you are a Christian, you have come into union with Christ. Through faith in Jesus Christ you are forgiven. Through faith in Jesus Christ you are sanctified and made holy. Through Christ, you are a new creation! (2 Cor. 5:17) The Holy Spirit lives in you! Therefore, pursue the life of faith in Christ with all diligence. 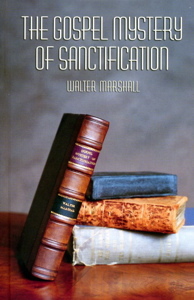 Walter Marshall, The Gospel Mystery of Sanctification (updated edition), 13. This entry was posted in Abiding in Christ, Sanctification, Walter Marshall and tagged Sanctification, Walter Marshall on January 9, 2009 by GlennDavis.